Asphalt pavement in Wisconsin takes a beating everyday from exposure to vehicle fluids and vehicles constantly traveling across the surface to being exposed to the elements 24/7. Wisconsin's weather can affect asphalt tremendously. Our weather ranges from extreme heat to freezing winters and everything in between. These weather conditions can also change dramatically in a short period of time and all of this wreaks havoc on your asphalt. This is why it is important to choose an asphalt contractor that is familiar with the local weather conditions. Our trained experts here at Patriot Paving have worked and lived in Wisconsin since 1987, giving us years of professional and personal experience with the Wisconsin weather. This is why we are trusted by so many people with their asphalt paving because we understand how the weather here can impact asphalt, and can provide tips to provide a proper maintenance routine so that your asphalt lasts for many years. We understand how important it is to do the very best job we possibly can at the most competitive prices. 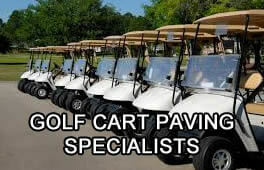 Not everyone has deep pockets and here at Patriot Paving we work with our customers need for affordable paving services. We are a fully equipped company ready to service you with high quality asphalt services. We also understand the importance of getting the job done efficiently and in a timely manner, and you can always depend on us to get the job done when we say we will. Asphalt repair is inevitable, even if you have the highest quality asphalt money can buy, after a certain amount of time all surfaces will become damaged. So many factors go into asphalt damage such as fluids from vehicles, exposure to weather, and just the weight of vehicles constantly traveling across the surface. When your asphalt gets damaged it is very important to repair it as quick as possible to prevent further damage and more expenses. You can rely on Patriot Paving for whatever asphalt repairs you need with the highest quality service. We also never recommend necessary services, we always give you an honest assessment and offer professional recommendations to make your pavement like new again. Even though we provide you with high quality repair work, it’s inevitable that the surface will not last forever. Eventually, any asphalt surface will need to be replaced. Until that time, our asphalt repairs are a great cost effective way to resolve the problem for the time being. When it comes to your asphalt repair, don’t just let any contractor handle your asphalt project, always choose a local professional. Here at Patriot Paving, our experts have many years of experience to offer only the best repair services for your asphalt. We only use the best materials with the most high quality service that you can find in the area, while staying at an affordable price.